Welcome to Pointe of View Dover! 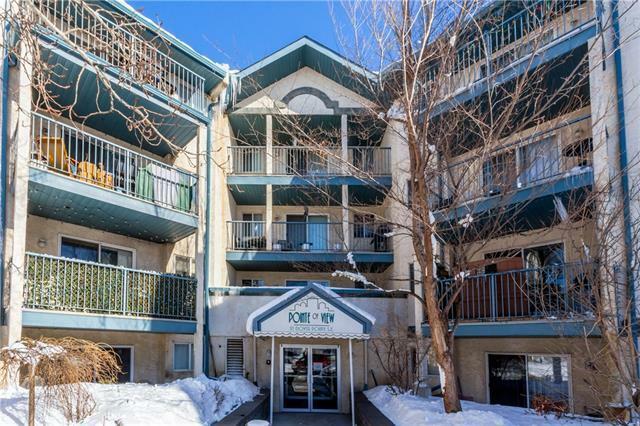 2 OVERSIZED Bedrooms... 2 FULL Bathrooms... 2 PARKING Stalls... A rare opportunity awaits you to own one of the Largest units in this great complex. This Second floor, Corner unit has a generous 1063 sq ft floor plan that opens to a huge living room. The Master bedroom has a walk through closet to a 4 piece bathroom. The second bedroom is situated across the unit allowing great separation and privacy. 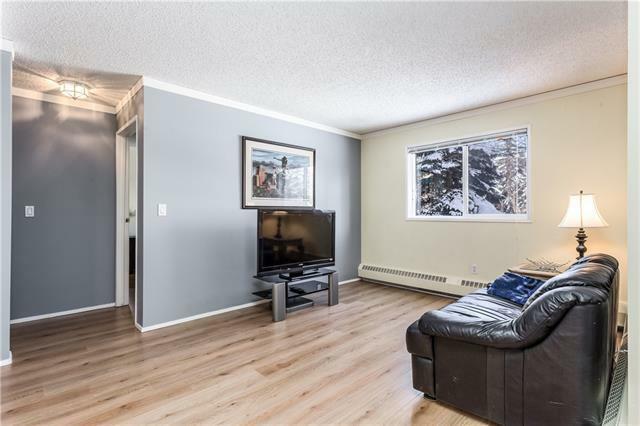 This unit has new paint, new counter tops, upgraded plumbing and new flooring. It also has its own storage room and separate Washer/Dryer room. 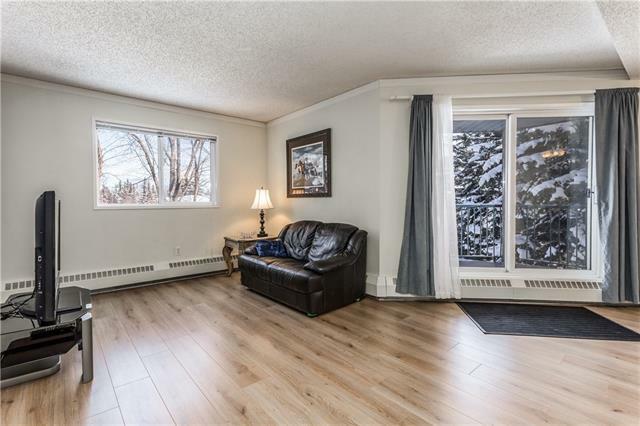 There are lots of windows giving this unit tons of natural light along with a spacious deck opening to a quiet, private green space to relax and enjoy! 2 Parking stalls (side by side) are conveniently located close to the building are included. 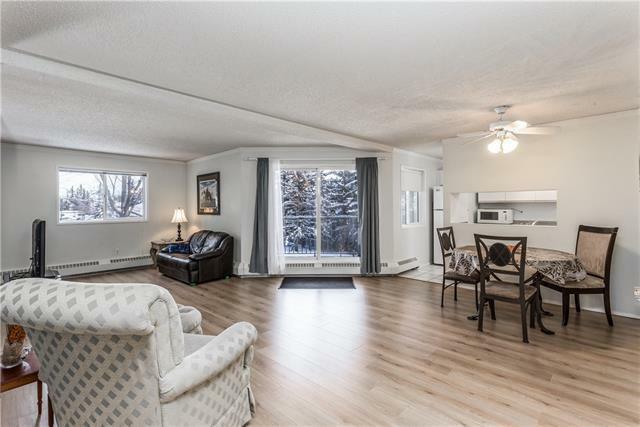 Close to schools, shopping, transportation and easy access to Deerfoot (10 minutes to Downtown). These units seldom become available....Check this one out!